Benella was founded in 2005 by Jo Jacob. After travelling and then working in management positions within the Leisure and IT industries, Benella was set up utilising Jo's organisation skills and her passion for being a "right hand (Wo)man". A qualified interior designer who trained with Ann Maurice the TV's House Doctor and Dawna Walters from "Life Laundry" fame, Jo fell in love with de-cluttering client's homes and restoring order to their lives. Client demand for a more regular service to keep their lives and homes on track meant that a PA at home service was added in 2009. Having never met a client in over 13 years who didn't have a a bag of bags, a book on decluttering and boxes or drawers of photographs - Jo trained as a photograph organiser in 2017 with www.appo.org and received her certification in January 2018 and is now one of the few UK certified photograph organisers. 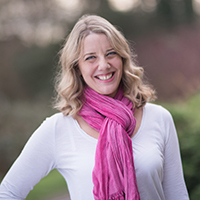 A local of Petersfield and with years of experience in helping clients with children boarding at Bedales school, Jo has a list of tradesmen and knowledge of who to call upon to ensure clients get the best people for whatever their requirements are. Benella has public liability insurance and Jo has been CRB checked. Benella offers a completely confidential service but references can be given upon request.